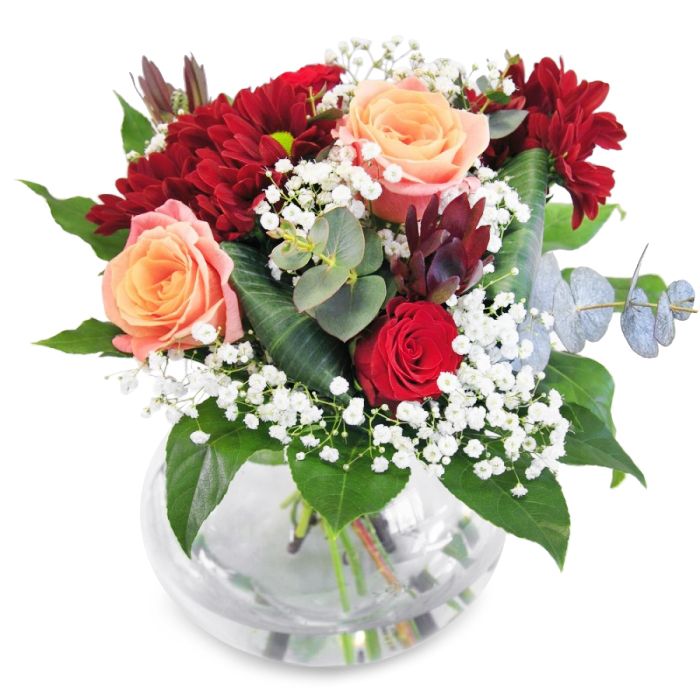 This magnificent arrangement boasts a glorious combination of sweet peach and scarlet roses, deep red spray chrysanthemums, white gypsophila, aralia leaves and eucalyptus leaves. Show someone how much you care in a stylish way. Excellent service and really superbly beautiful flowers! I will definitely purchase again. 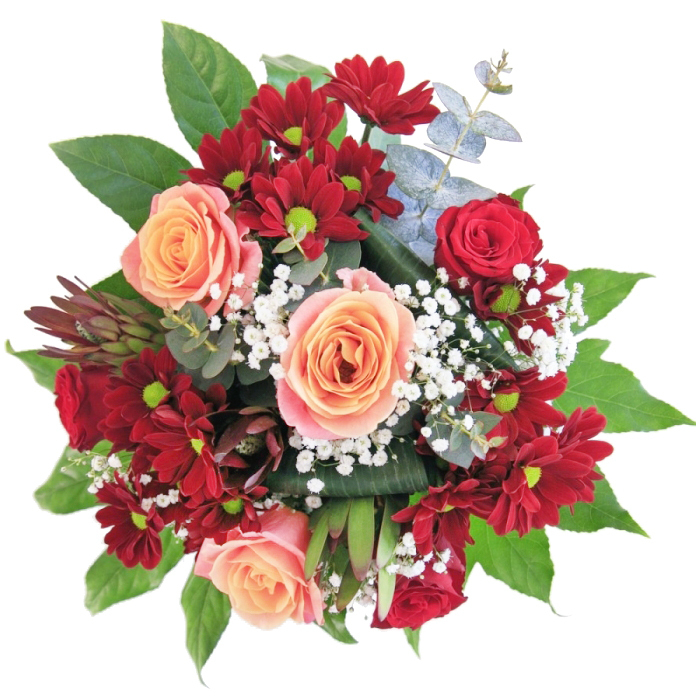 Wonderful bouquet and exemplary service. Delighted all round with my experience here. I love making my presents with style and this is the most stylish bouquet of them all. Hope my sister will be pleased with this beauty. My niece loved the bouquet! 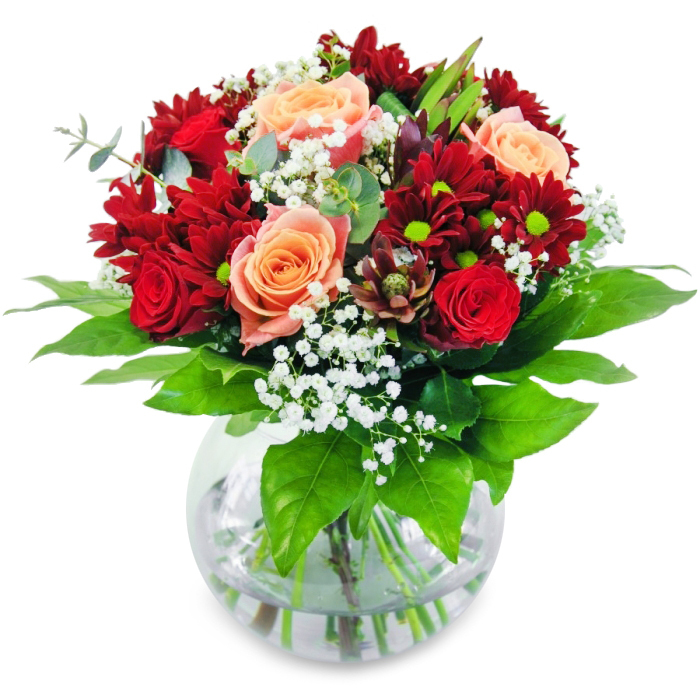 Great flower delivery service! 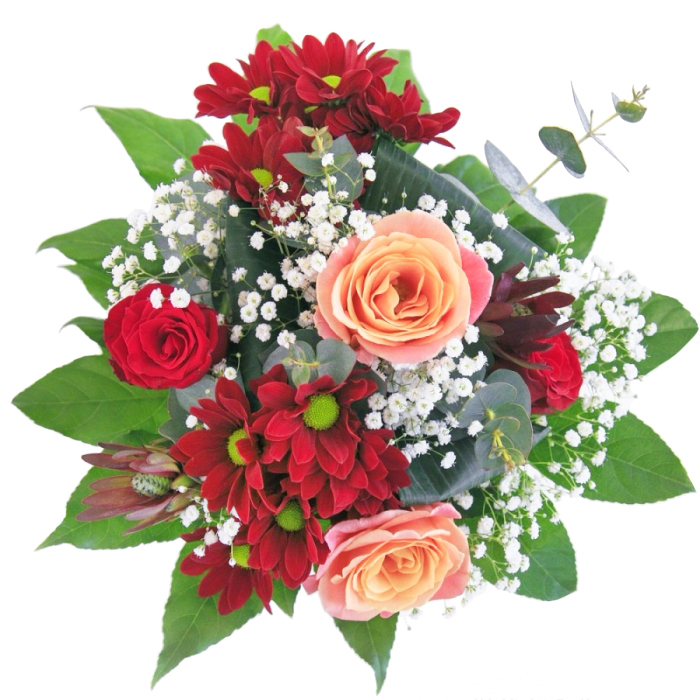 The florist is very skillful! The flowers were delivered before noon as I requested. They were extremely beautiful! 5 stars for this florist! 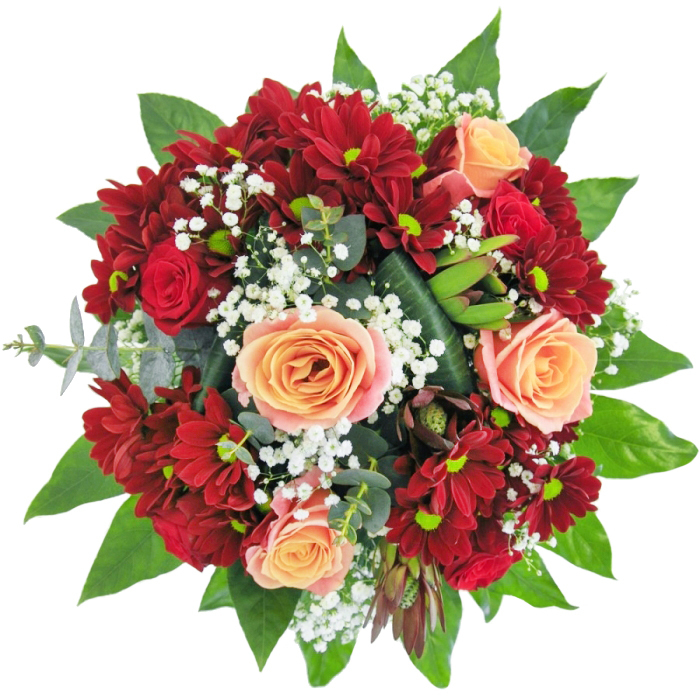 I'm looking at the bouquet right now and there is only one word to describe it - fabulous! I want to confirm that the bouquet was delivered this morning and looks amazing. Superb job! I just ordered it as a gift for my mother and I am hoping she will like it as much as I do. Really nice surprise gift. Delivered on time from a friendly couriers. Good service that I certainly recommend to all of you. Totally adored the bouquet! All those beautiful flowers that were included in it just made my office brighter. The delivery was made in very convenient time. Thanks. 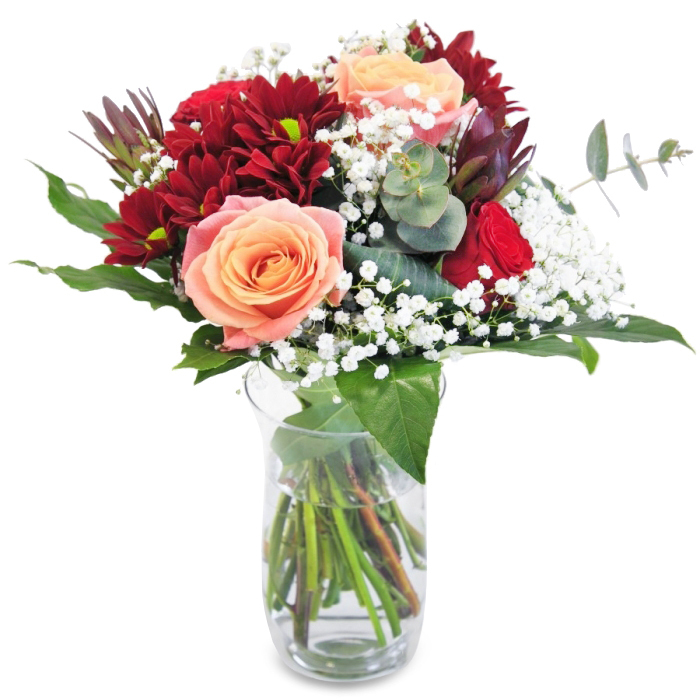 A classy bouquet with sleek lines – I just loved how this bouquet looked on the picture and it looked just the same when it got delivered.